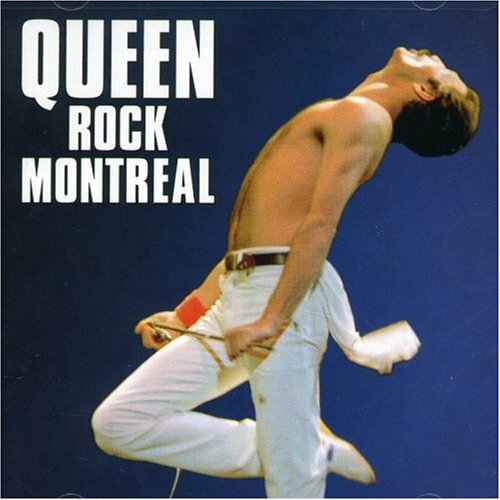 2007 two CD set, the first official release of this amazing show, recorded and filmed at the Montreal Forum on July 21, 1982 during their Rock 'n' America tour. This was Queen's last North American tour with their original lineup Freddie Mercury, Brian May, Roger Taylor and John Deacon. Recorded for posterity, this concert is world-class talents at the top of their game. The recording, long whispered about in chat rooms and bulletin boards, languished in music lawyer hell until earlier this year. Under the eagle eyes of the band, the album has been sequenced mixed, and mastered to the highest possible contemporary standards. It now stands in the pantheon, not just of great Queen live albums, but of the great live Rock albums. 28 tracks including 'Under Pressure', 'Crazy Little Thing Called Love', 'Killer Queen', 'We Are The Champions', 'Another One Bites The Dust' and 'Bohemian Rhapsody'. Hollywood.